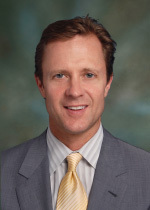 Dr. Jeffrey M. Kenkel, a Dallas plastic surgeon and vice-chairman of plastic surgery at UT Southwestern Medical Center, will present technological innovations in the diagnosis and treatment of the aging face at the 58th Annual Meeting of the Robert H. Ivy Society of Plastic Surgeons symposium, March 9-10 in Harrisburg, Penn. Dr. Kenkel will discuss laser resurfacing, light-based technology, focused ultrasound and body contouring, as well as the safety and efficacy of laser resurfacing products. “The Robert Ivy Society has been providing excellence in plastic surgical education for over a half a century. It is truly an honor to be included in this important annual event,” said Dr. Kenkel. The program aims to advance physician competence, promote patient safety and improve patient outcomes. Dr. Kenkel will present this year at the society meeting. Founded in 1954, the symposium promotes the Essential Areas and policies of the Accreditation Council for Continuing Medical Education through the joint sponsorship of the Pennsylvania Medical Society and the Robert H. Ivy Society. About Dr. Jeffrey M. Kenkel. Jeffrey M. Kenkel, M.D., F.A.C.S., is a plastic surgeon in Dallas, Texas. He is president of The American Society for Aesthetic Plastic Surgery, (ASAPS), and professor and vice chairman of the Department of Plastic Surgery at UT Southwestern Medical Center in Dallas. He is the director of the Clinical Center for Cosmetic Laser Treatment and medical director for the Department of Plastic Surgery, Outpatient Building, UT Southwestern Medical Center in Dallas. His clinical practice is located at the Outpatient Building on the campus of UT Southwestern Medical Center. Dr. Kenkel is certified by the American Board of Plastic Surgery. Dr Kenkel specializes in cosmetic surgery of the face and body. He balances his surgical practice with nonsurgical cosmetic medicine including the use of injectables, lasers, and skin care. Dr. Kenkel is nationally and internationally known for his contributions in cosmetic surgery.